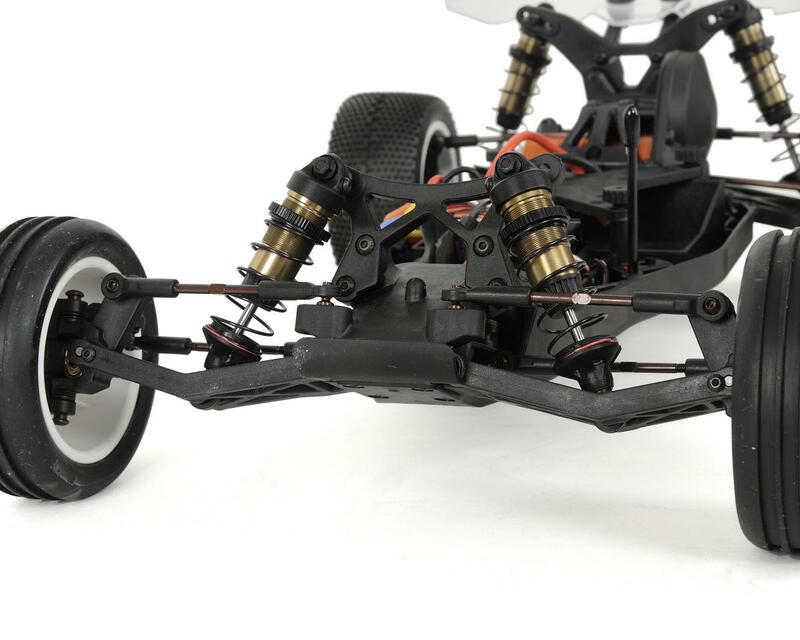 This is the Serpent Spyder SRX-2 MM Mid-Motor 2WD Ready-To-Race 1/10 Scale Electric Buggy, with an included 2.4GHz Radio System. 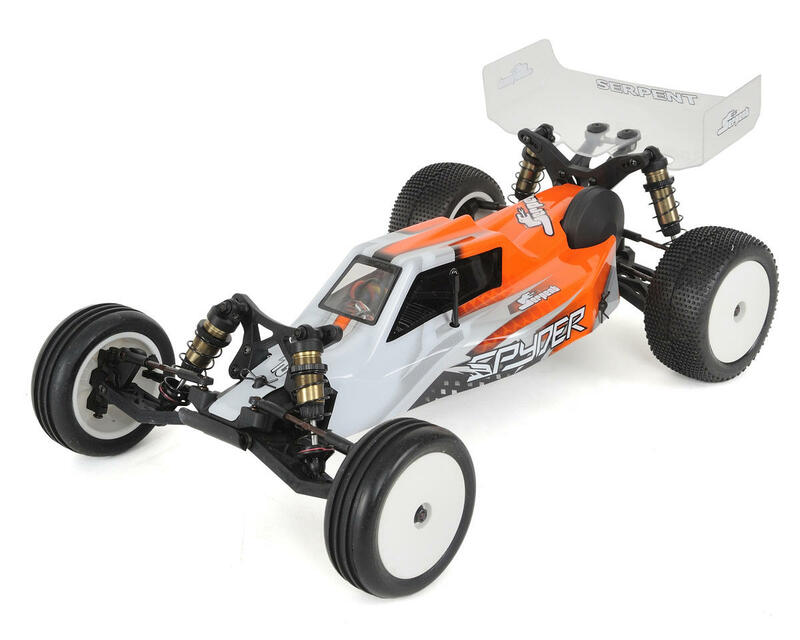 Designed by World Champion Billy Easton in the USA, the RTR Spyder buggy is based on the high end competition version of the Spyder MM buggy. 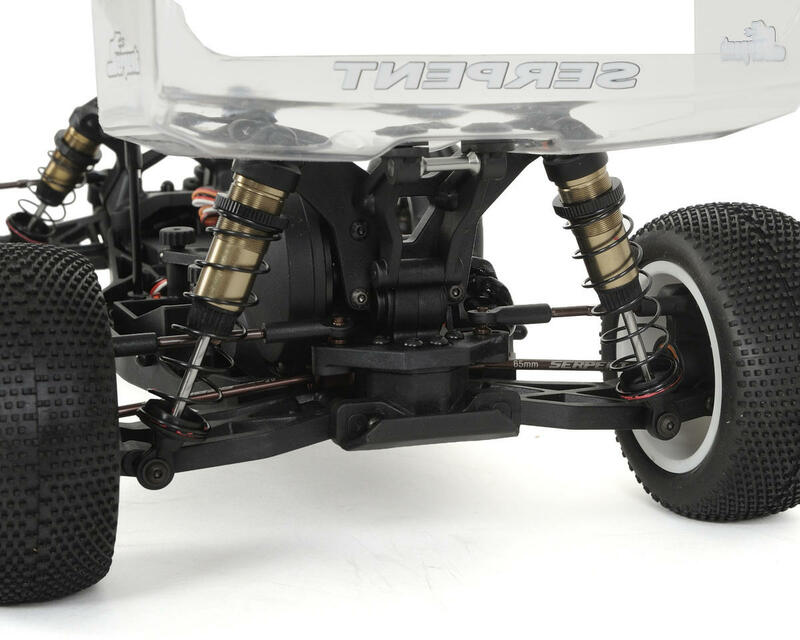 To keep parts compatibility simple, both buggies share most components and suspension geometry, while also sharing optional upgrades that can be equipped to the vehicle later. The prepainted and pre-cut light and low cab-forward style body is made from top quality clear polycarbonate material and features a nice flowing line with a steep front windscreen for high performance downforce. The shark fin on the roof of the cabin not only offers style and great looks, but also stability for high-speed travel. The polycarbonate rear wing utilizes raised chutes in the sides to improve wheel clearance. Additionally, the rear wing mount is adjustable from 0, 2, 4, 6 and 8 degrees to further fine tune downforce adjustment. The DragonRC DX-10WP ESC provides 45A current while being compatible with either 2S LiPo, 3S LiPo and 6-cell NiMH batteries. It is also waterproof and can be programmed easily with the optional program card (sold separately). The 9-T Sensorless motor is a 9 Turn modified motor offering 3000kV of high power and excitement. The entire motor is built on a full aluminum, maintenance-free can, for hours of fun. 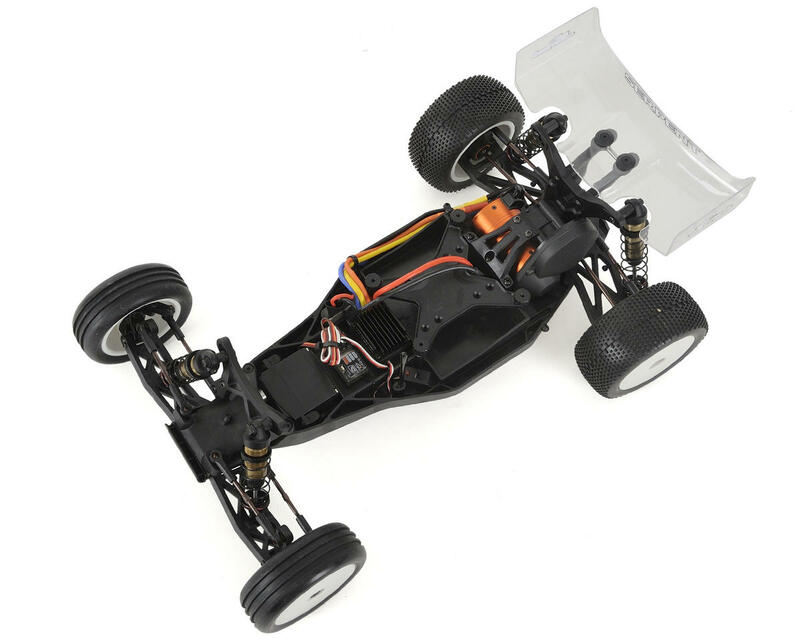 This is a solidly built buggy. 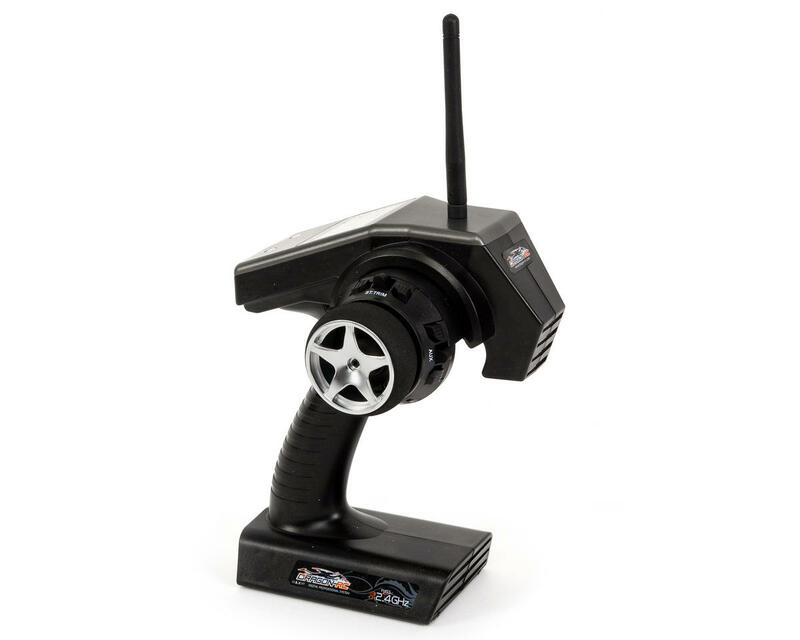 The included radio is also one of the best you will find in an RTR car. 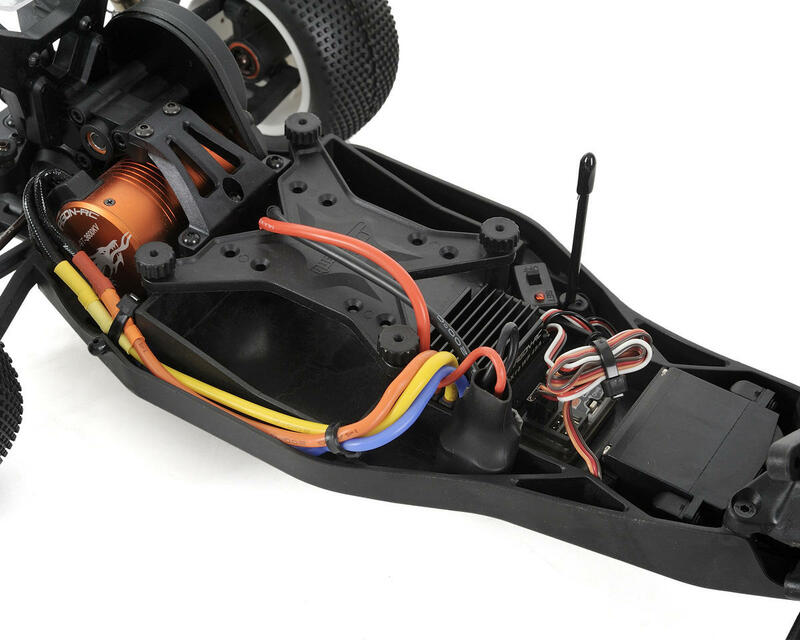 dont get a serpent rc car. Many parts fail on it, and they have no customer service. This was my first car and been super happy with it. Being a first timer I just took the thing out of the box and started using it. Definitely worth checking everything is properly bolted on. I had issues with my rear suspension, now fixed after a full rebuild and replaced the shafts with the Serpent Tin (Part number 500202 from the RM version). Shredded the diff and spur gear also, which I think was primarily caused by not being installed on build properly. As a first serious 1/10 2WD buggy, definitely a good starting place. Repairs are easy. I use it mostly at a track but also fun for bashing if that's your thing. 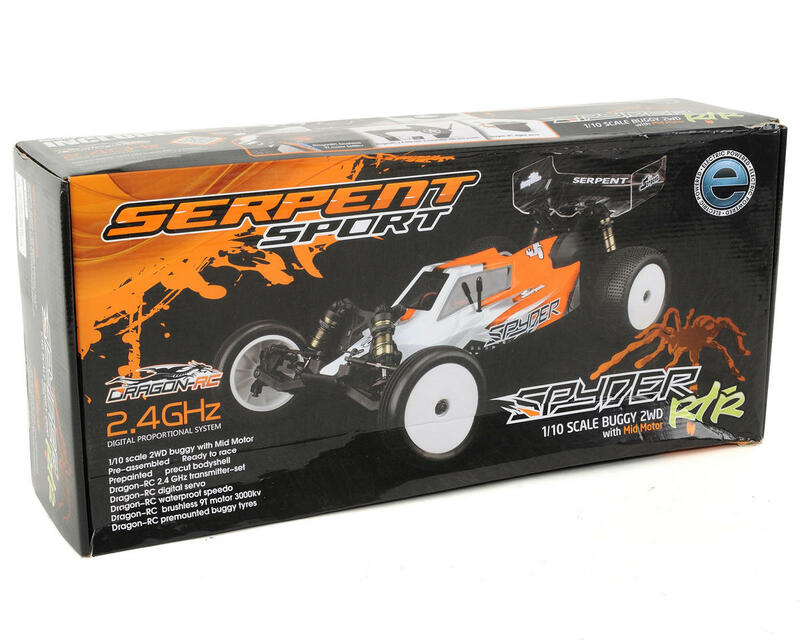 I love the brand so much I have now bought the new Serpent SRX2 Hybrid. For the price on this RTR, you defenitly cant go wrong. You cant expect everything top of the line for the price point. Besides those few minor things, which you can read about in reviews all over the web, it is a solid, strong buggy, with a good radio. If your good with having to order most, if not all your parts online you will love it!